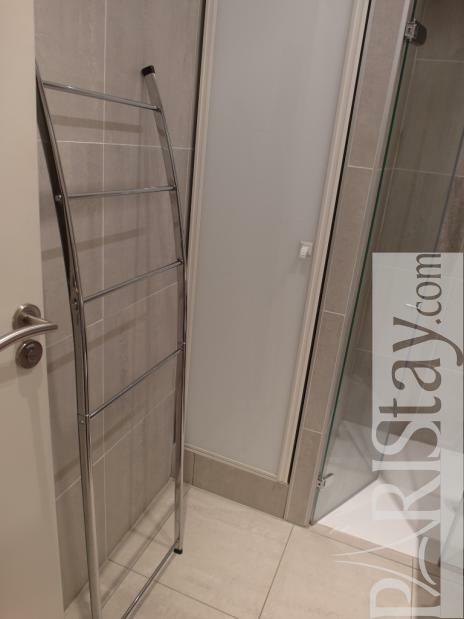 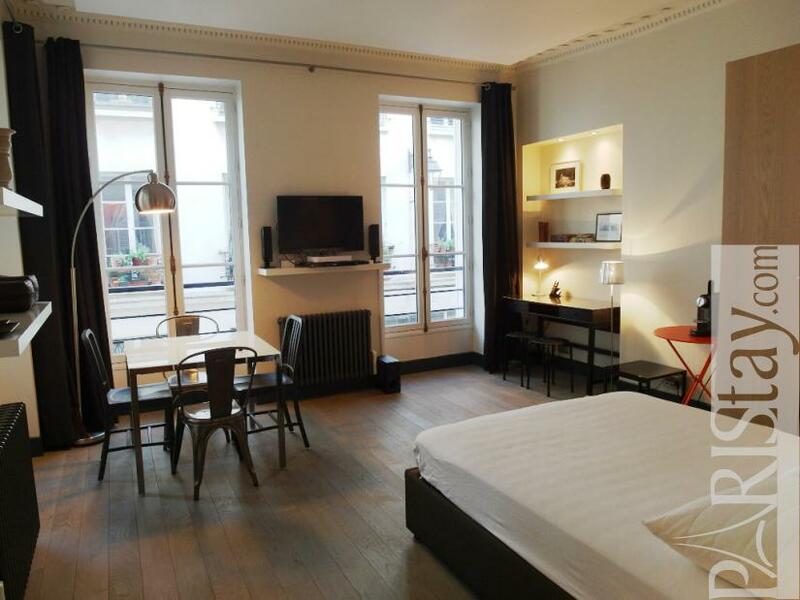 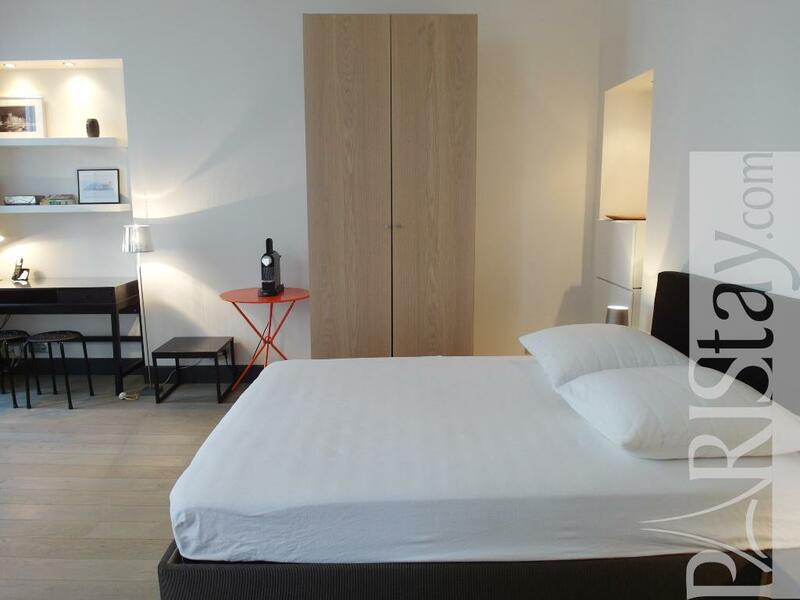 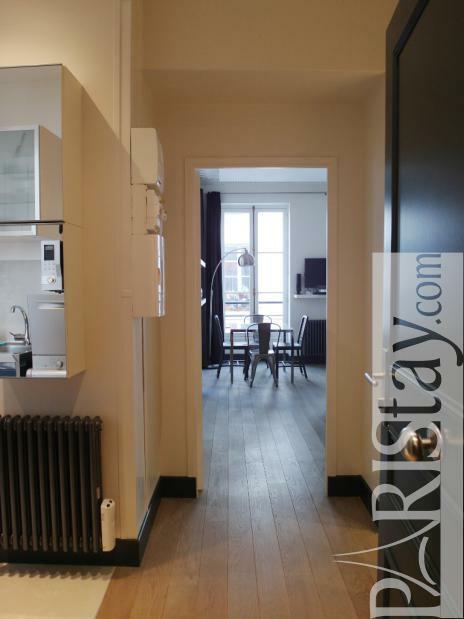 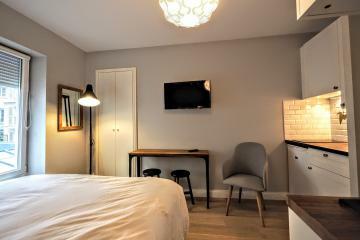 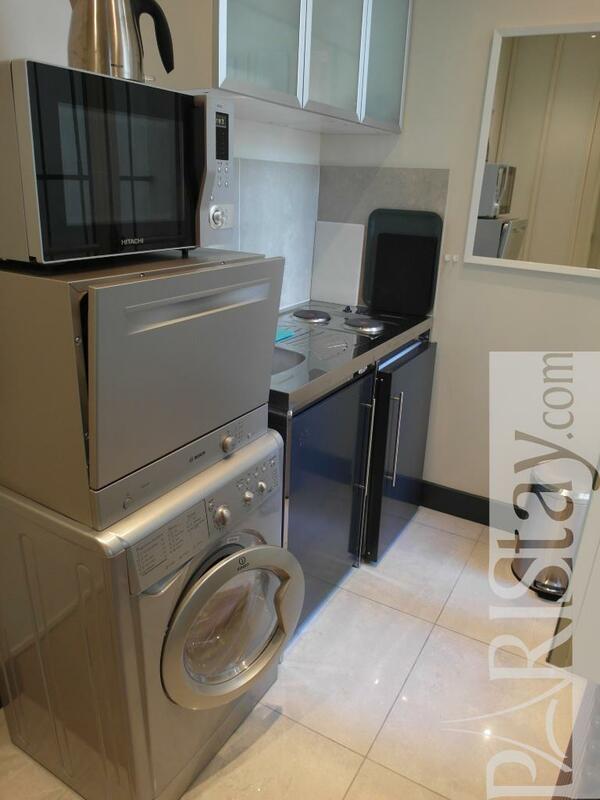 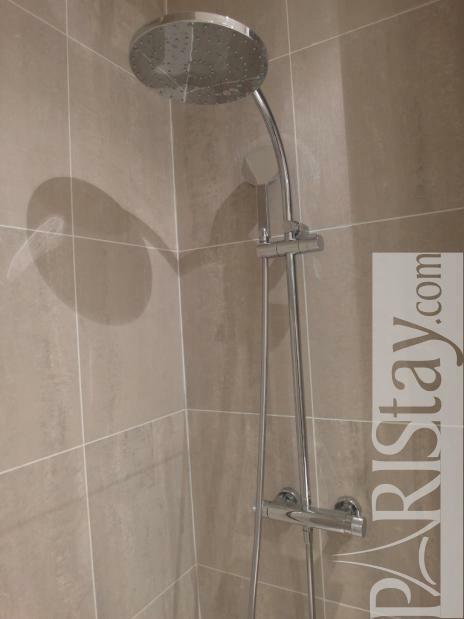 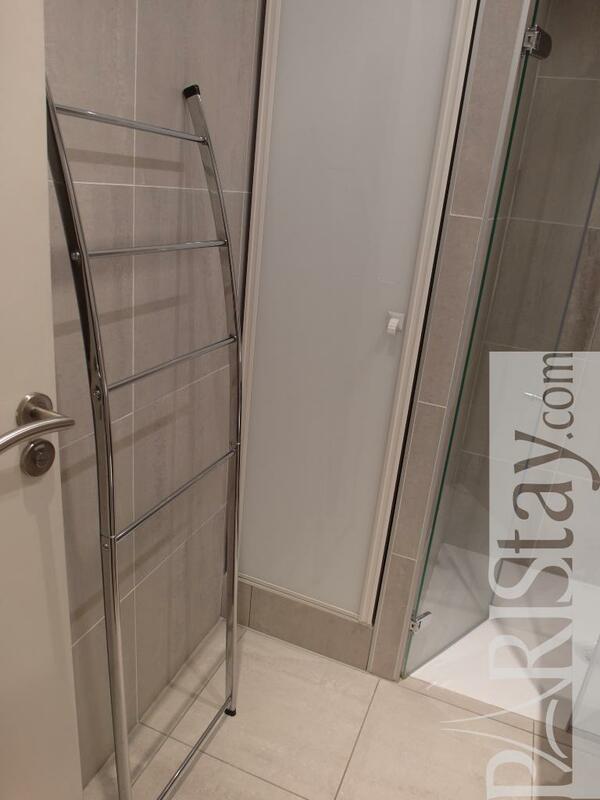 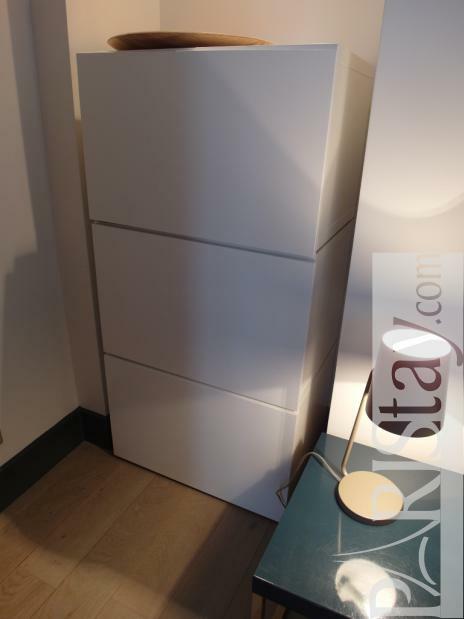 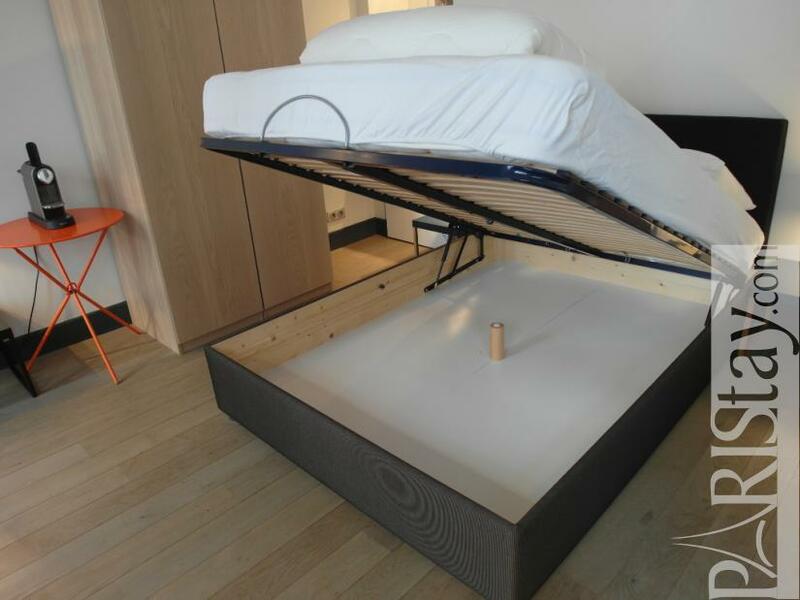 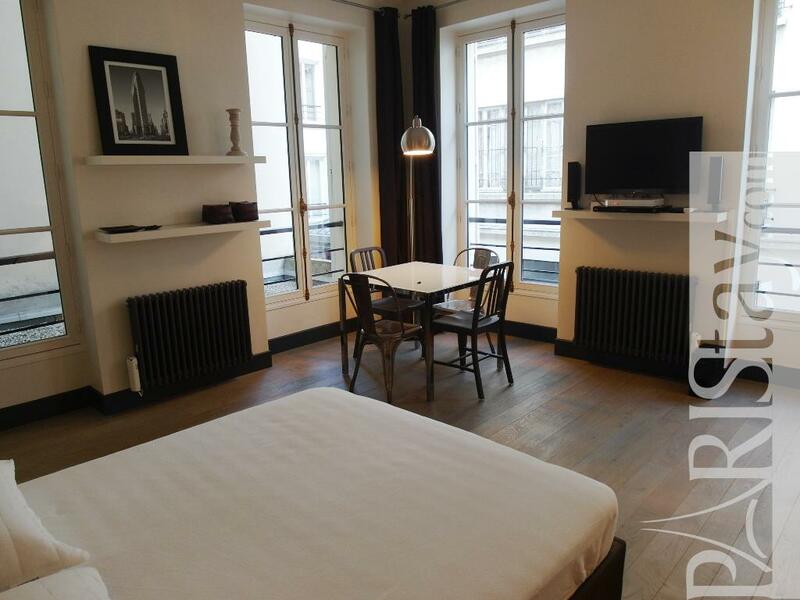 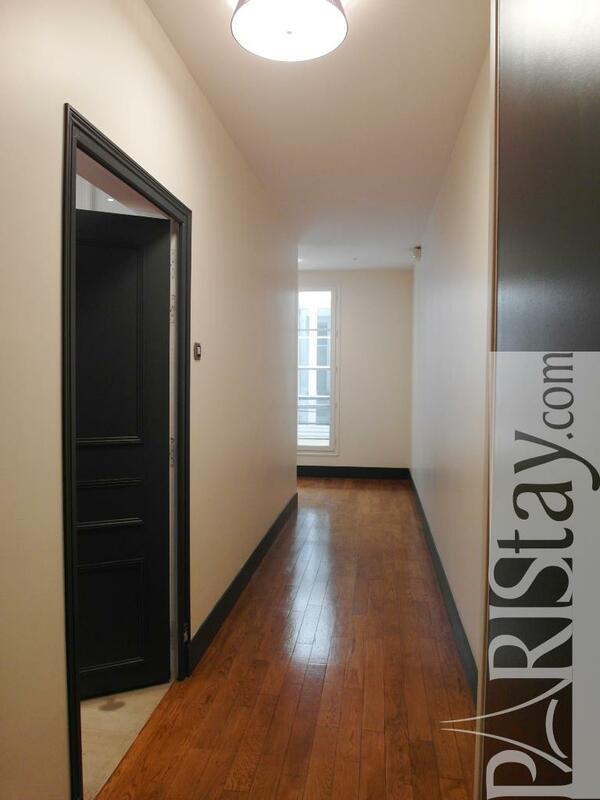 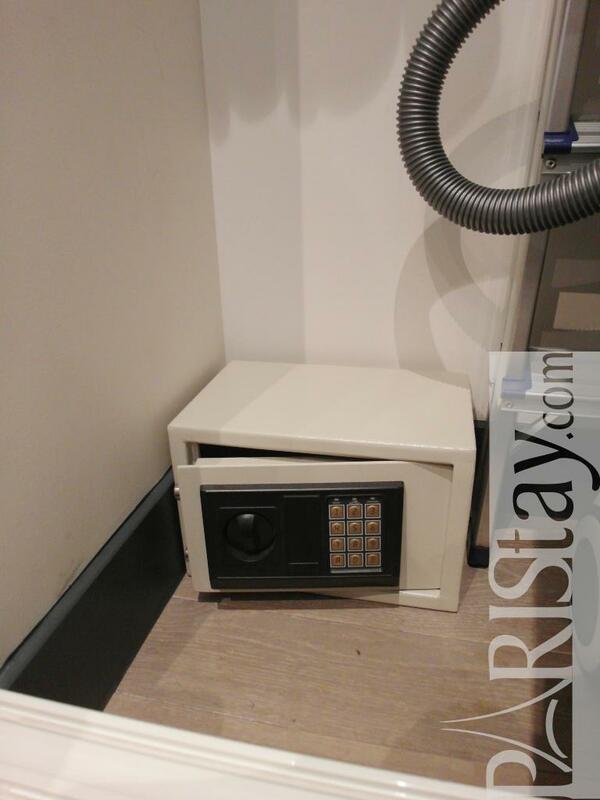 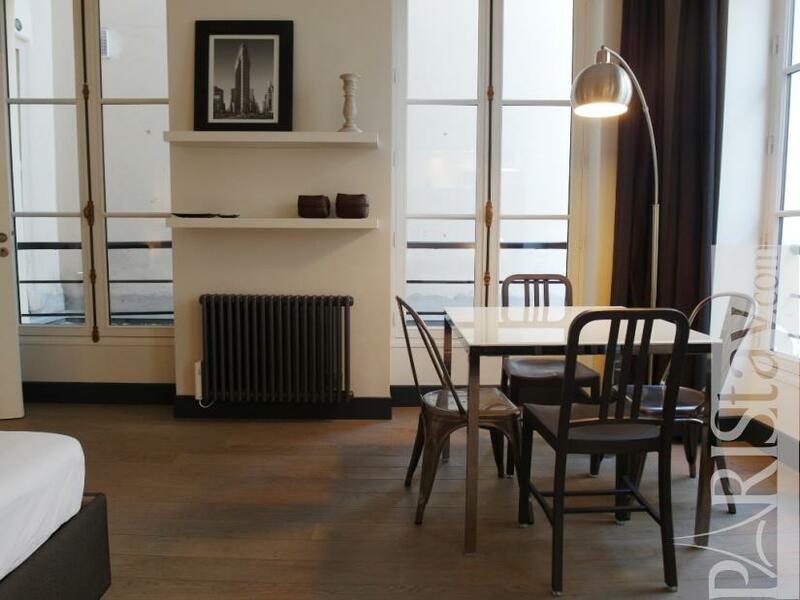 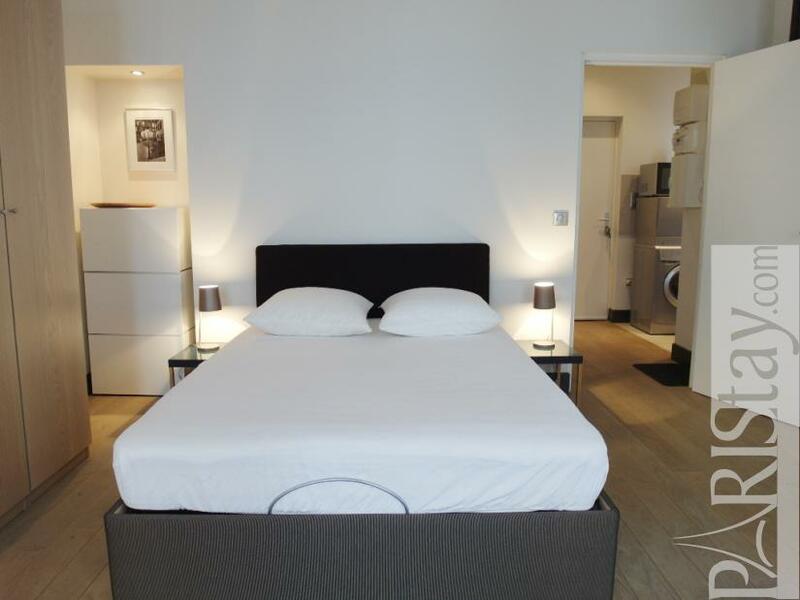 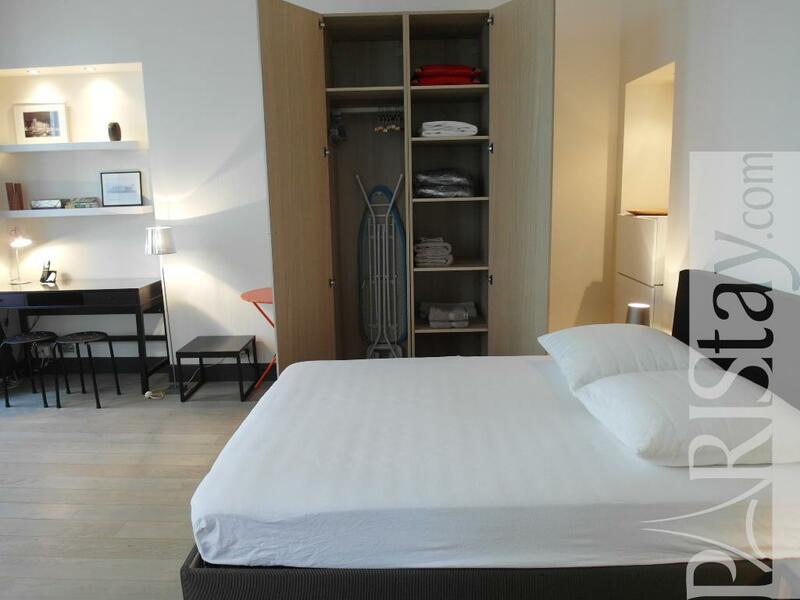 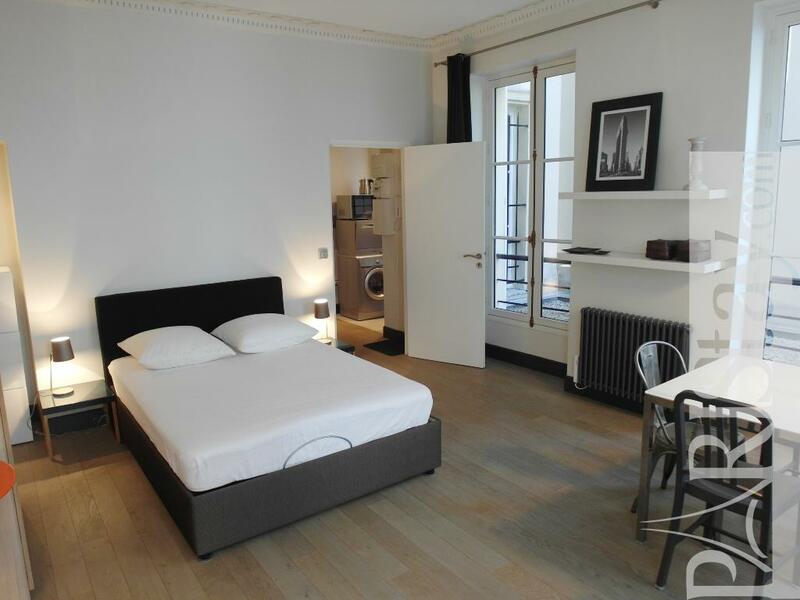 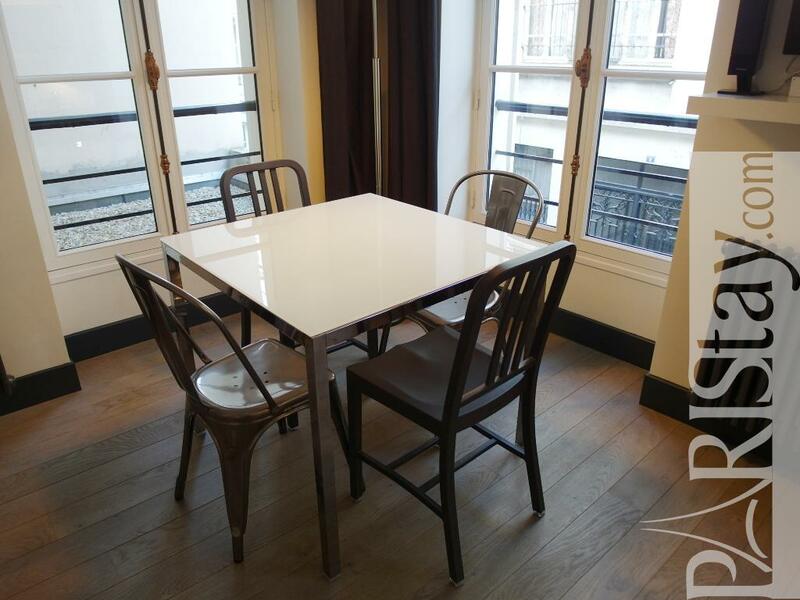 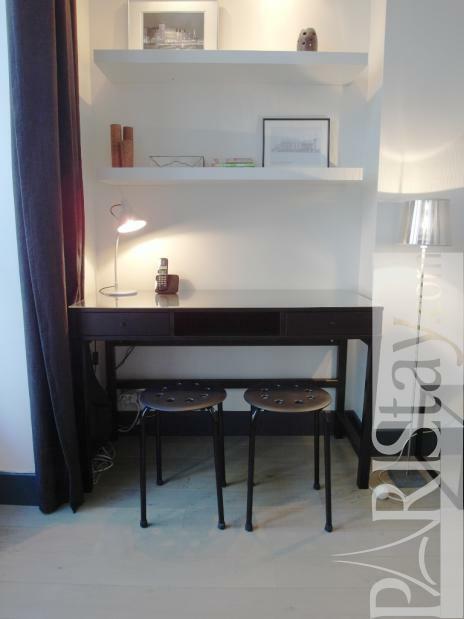 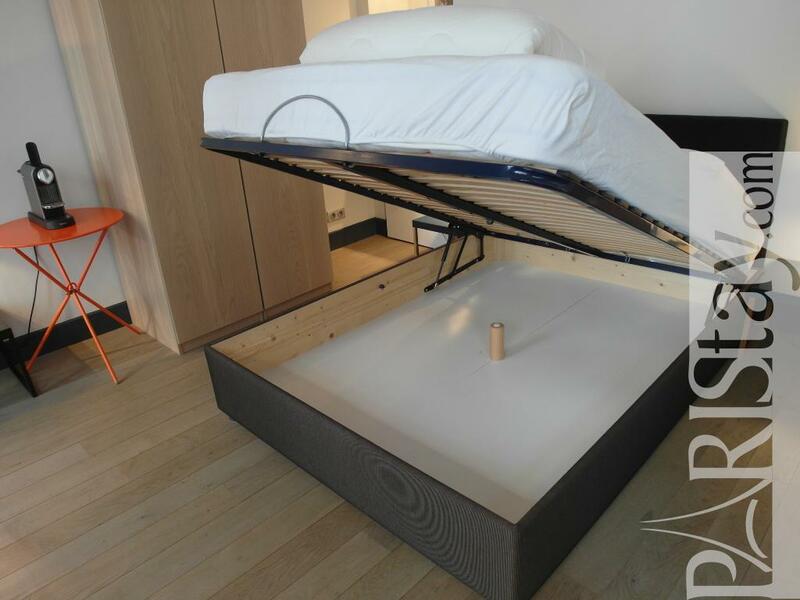 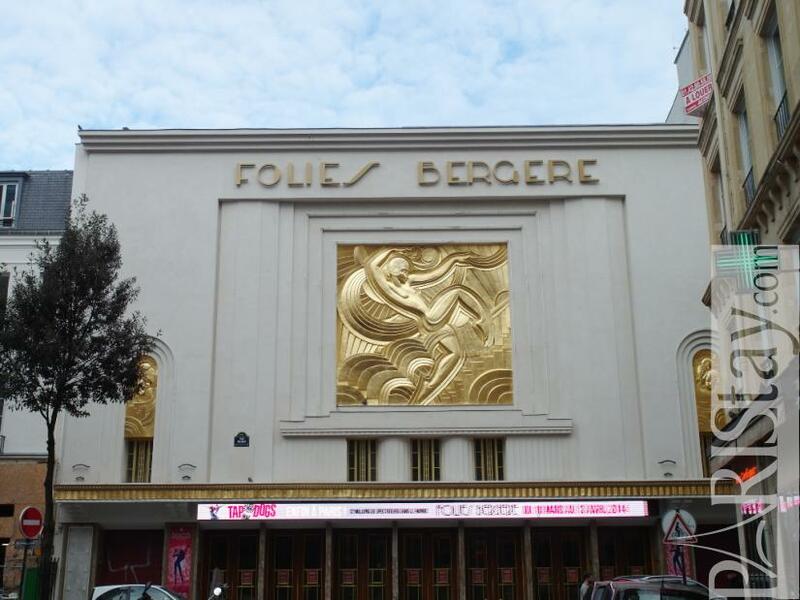 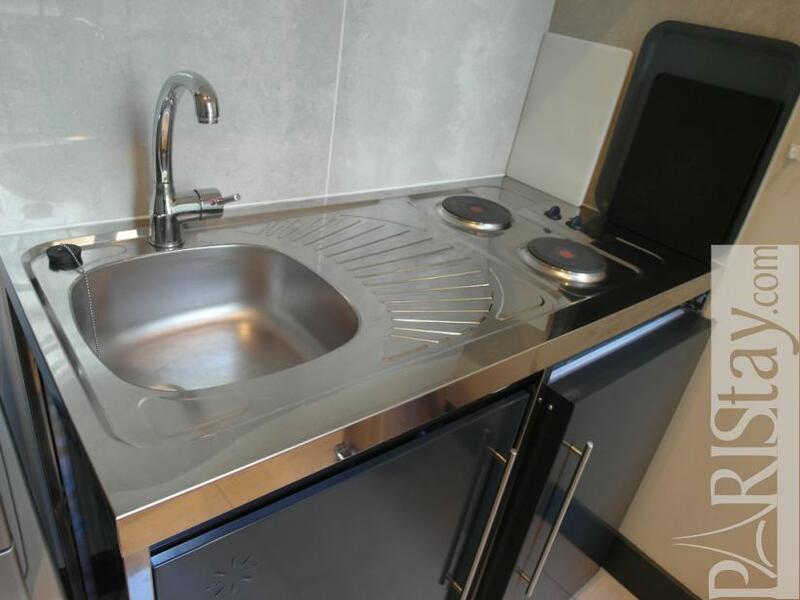 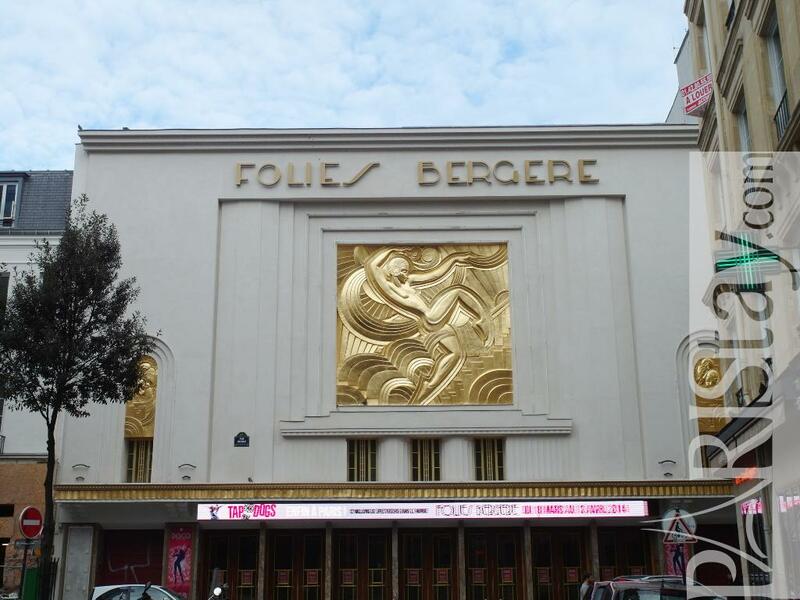 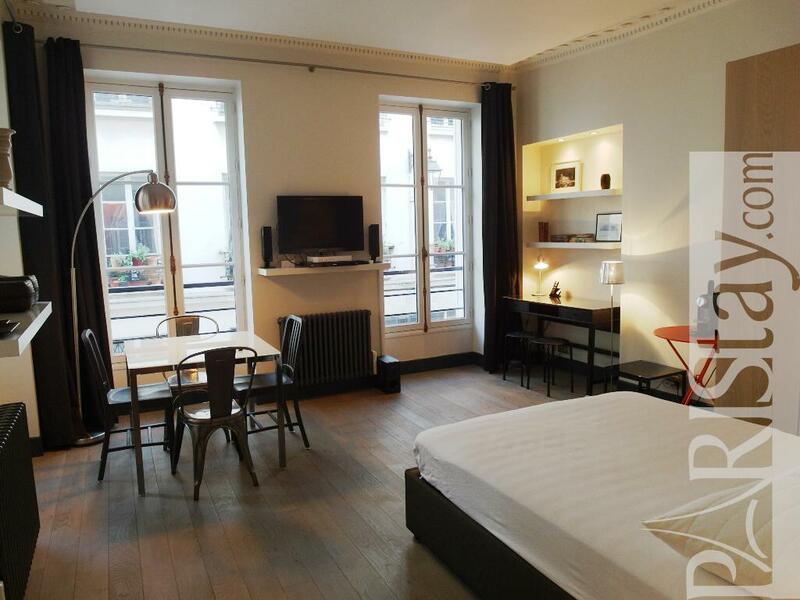 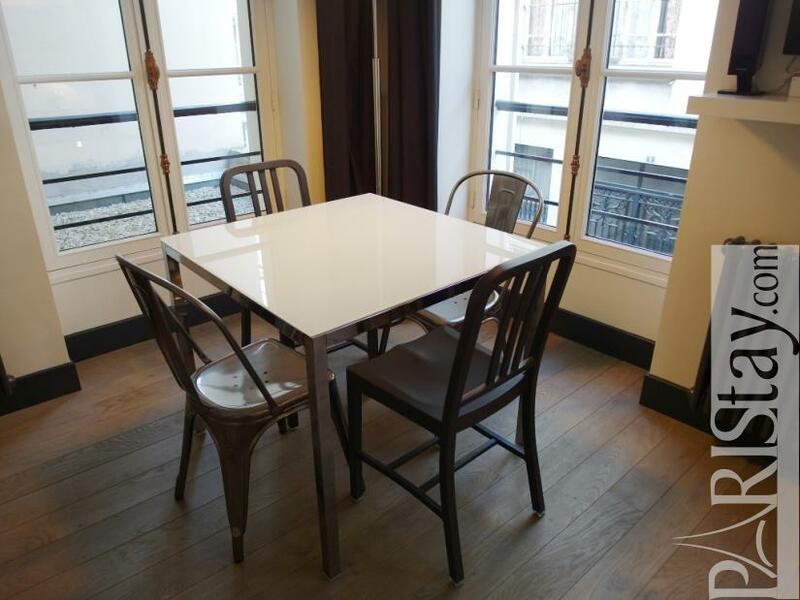 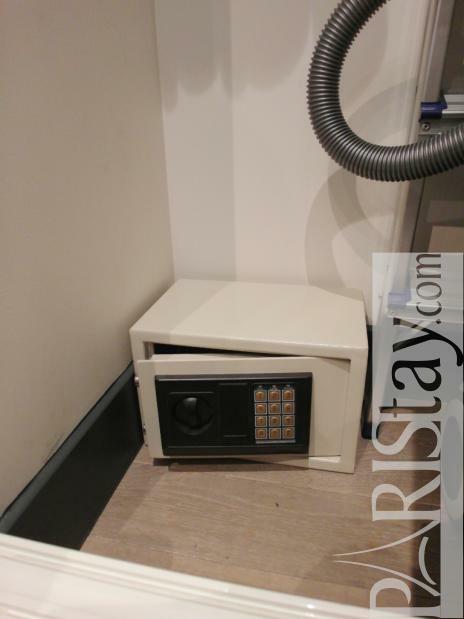 Here is a bright and spacious Paris studio apartment, located nearby the famous "Folies Bergères", the "Cinema Grand Rex" and next to "Les grands boulevards"... heart of the lively 10th arrondissement. 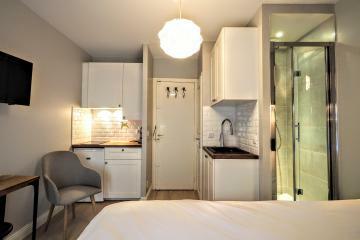 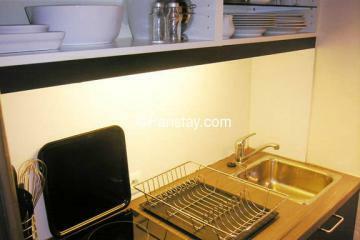 It's a nice place to stay, offering various convenient transport facilities, many shops, markets and restaurants. 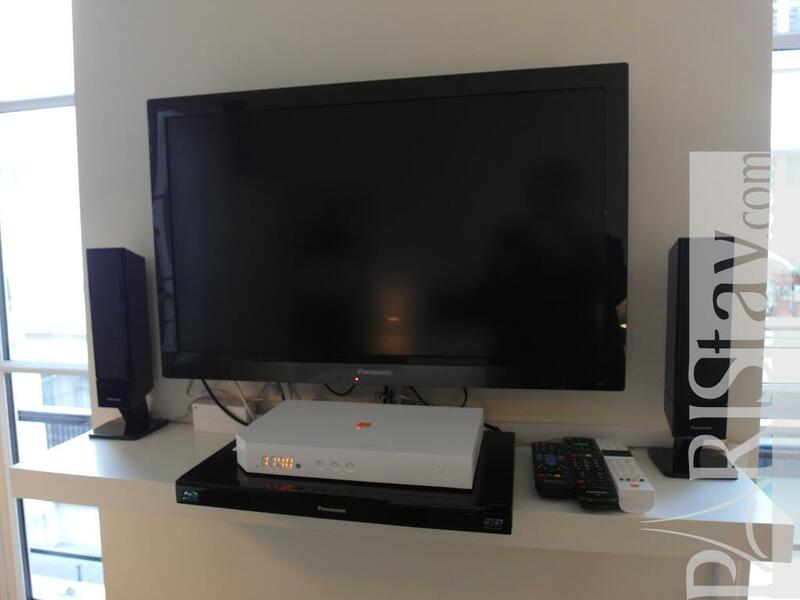 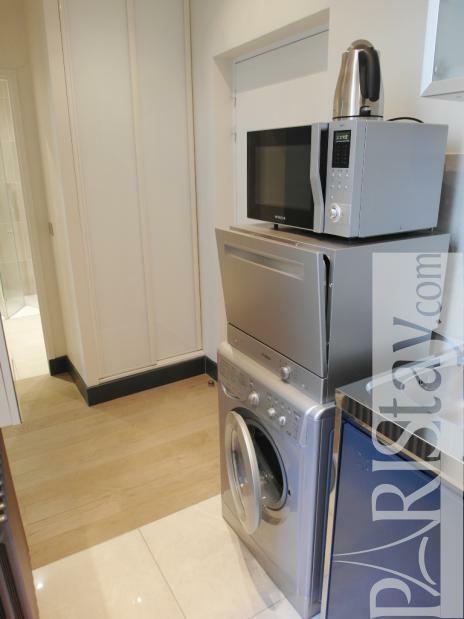 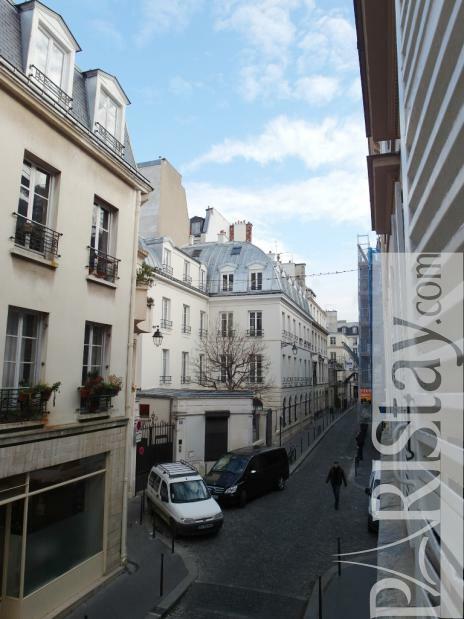 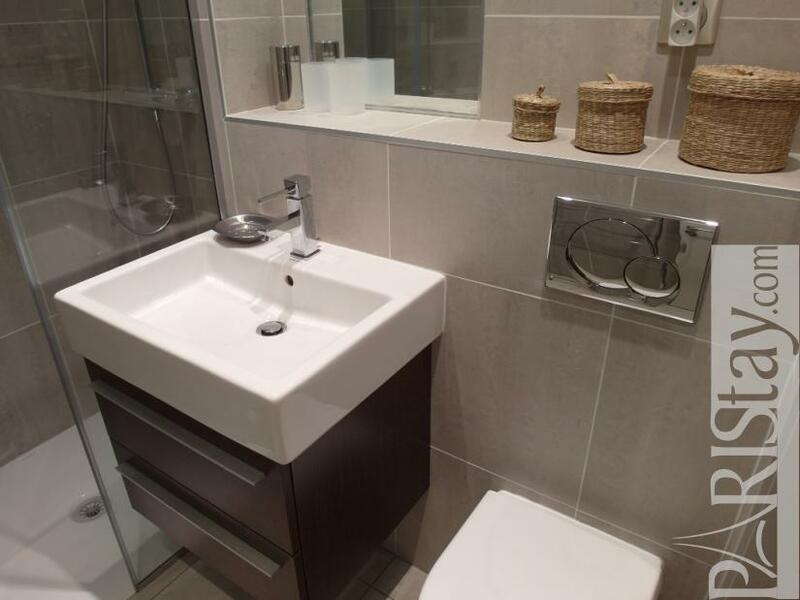 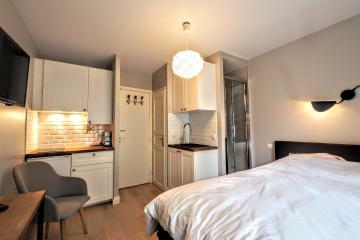 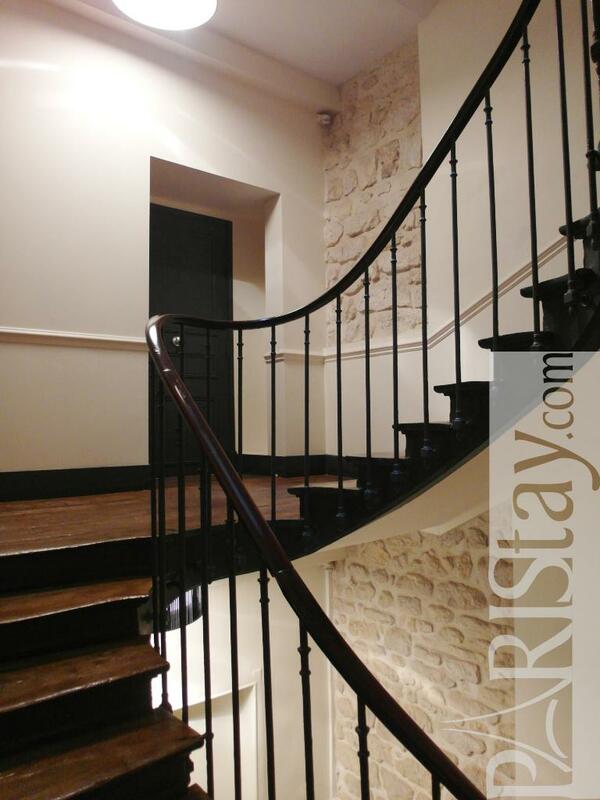 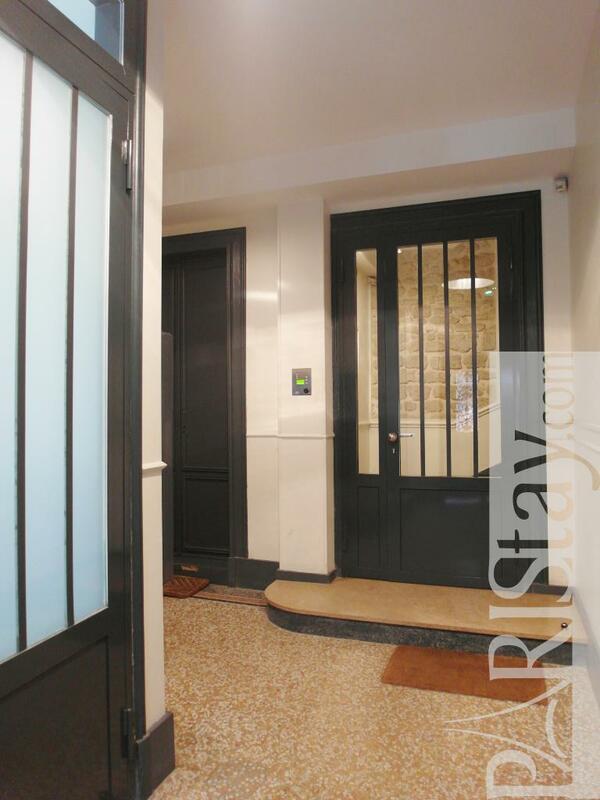 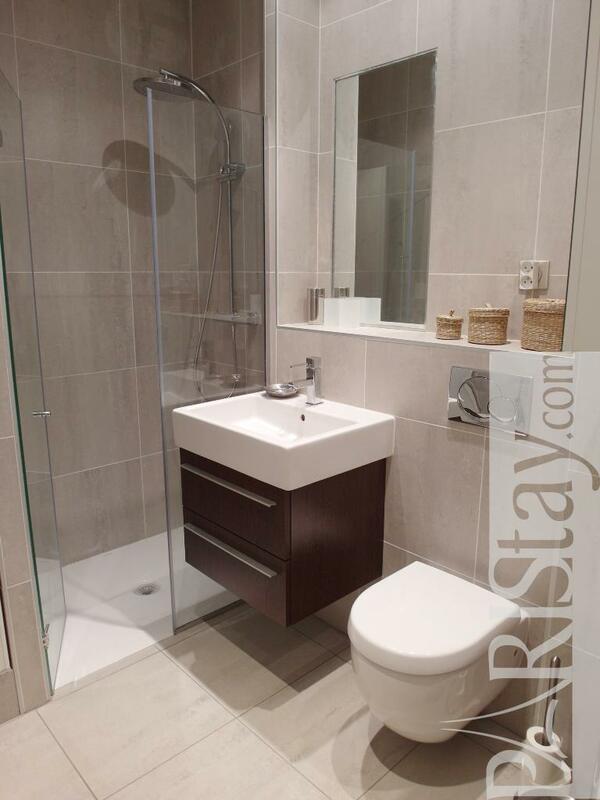 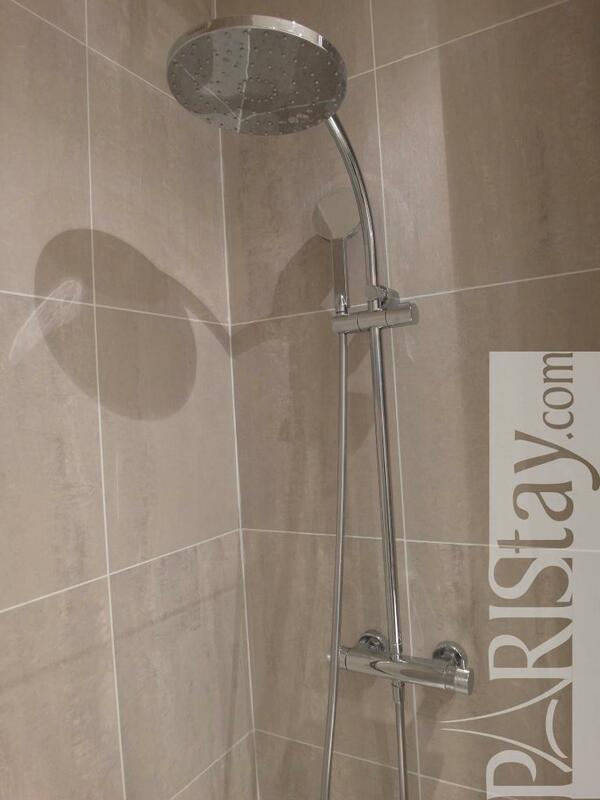 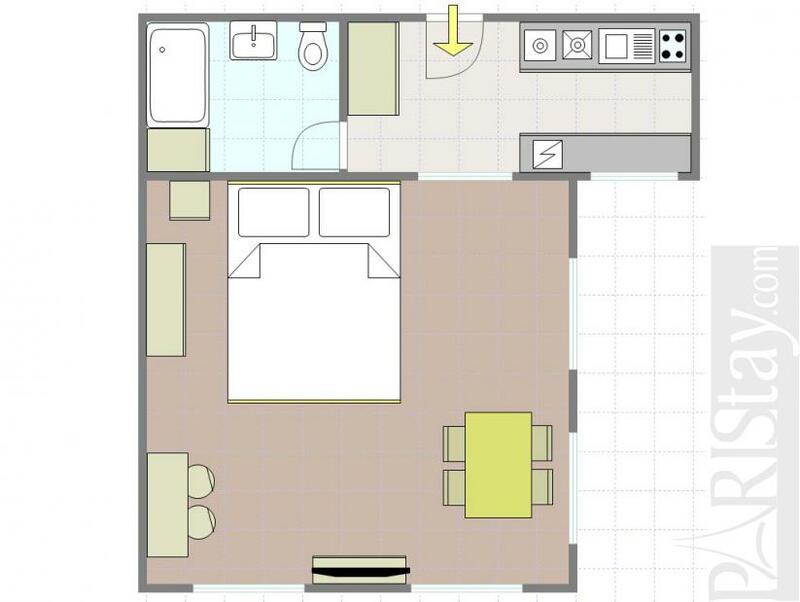 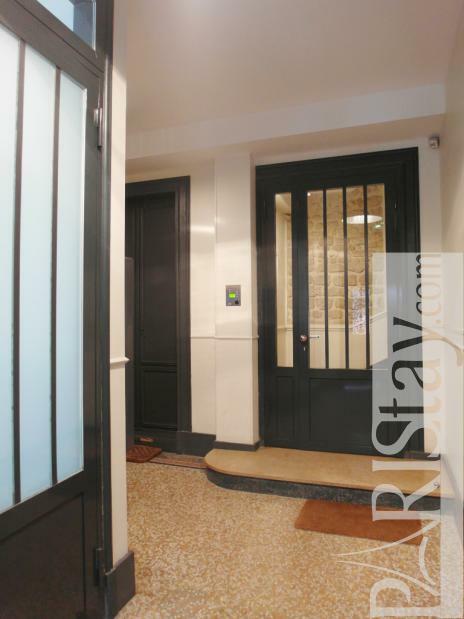 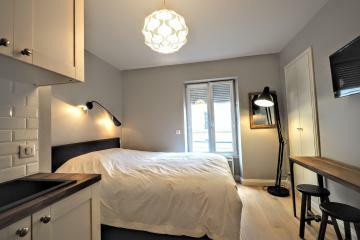 The flat is situated in a renovated building, in a quiet street, on the first floor (No lift). Everything has been organized to help you feel as well as possible : a spacious main room offering 4 large windows, a king size bed, a large dinning table, 2 convenient cupboards, a separate fully equipped kitchen, a nice shower room, an large entrance with dressing, even a security box... 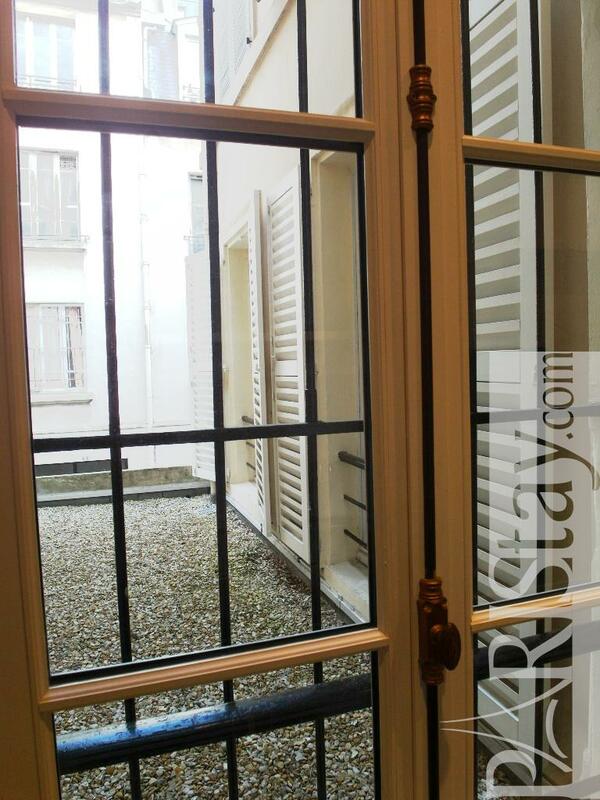 Welcome to Paris! 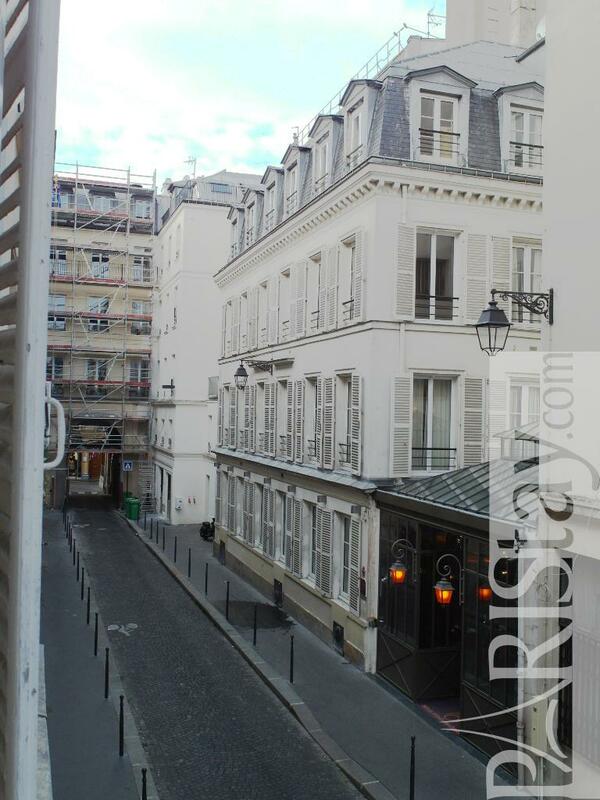 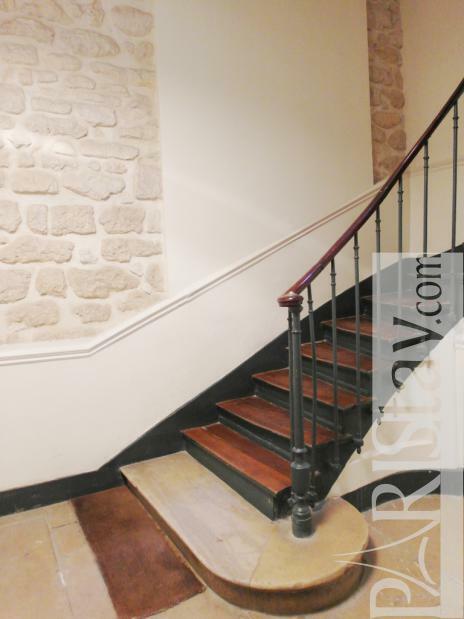 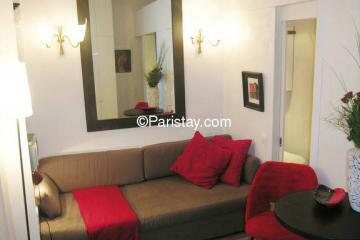 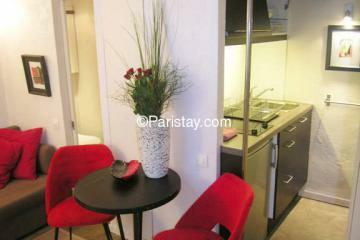 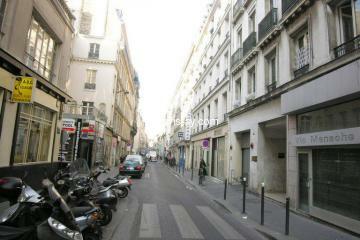 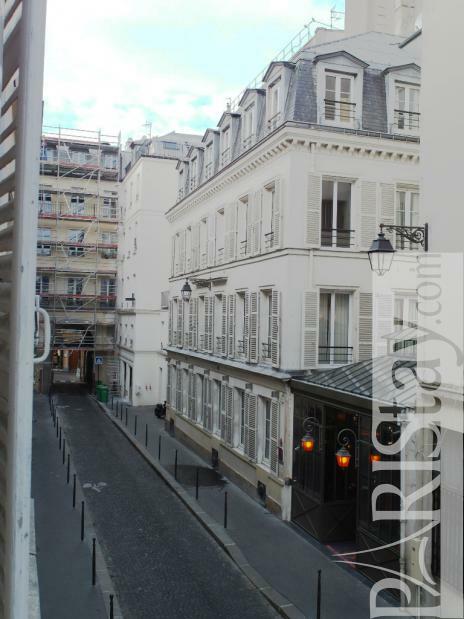 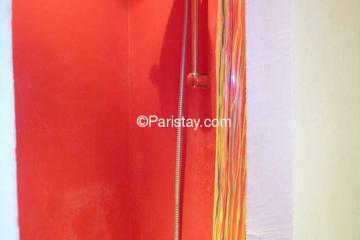 1995's Building, 1 st floor, without Lift, Studio Appartement, furnished, Approx: 35m² / 376 Sq.Ft.